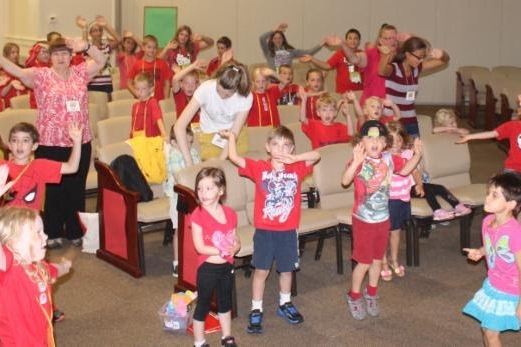 At Vacation Bible School, our kids enjoy an interactive, energizing, Bible-based good time as they discover their strength in God. They explore how to serve God and God's mission for their lives. After a high-energy opening assembly, the campers make their way to the Bible Story Headquarters. Interactive Bible lessons reveal lessons to equip your children for an active life with God. Your campers will discover a Bible memory verse that will remain with them in their faith long after Vacation Bible School. 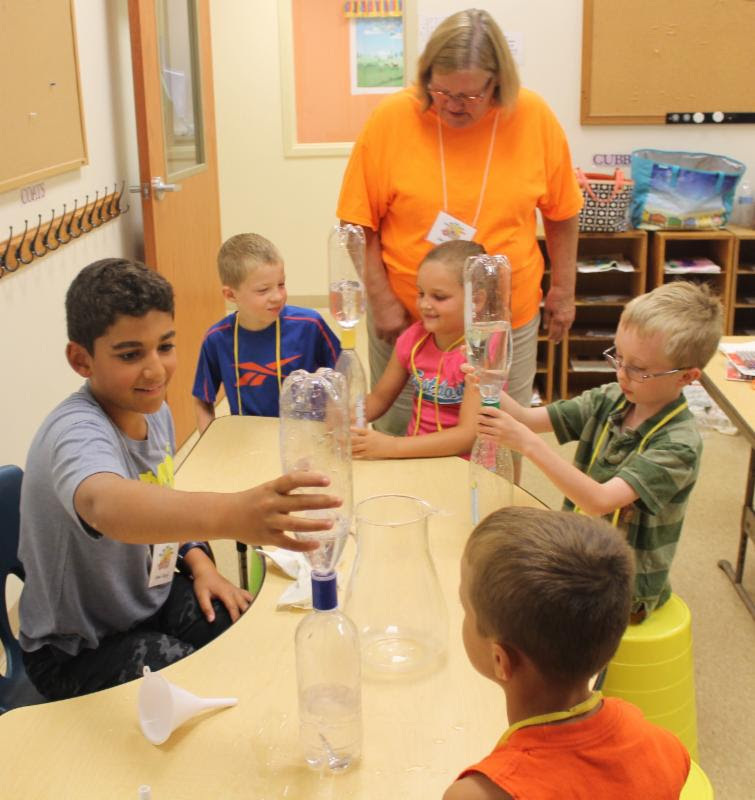 The kids will expand on what they've discovered by participating in a variety of activities: making their own art projects at Craft Headquarters, singing new songs at Music Headquarters, exploring the wonders of creation at Science Headquarters, playing games at Recreation Headquarters, and enjoying tasty treats at Snack Headquarters. Along the way, the kids will hear about our mission project and as their respond to a call for action!